Desisa also won the Boston Marathon twice in 2013 and 2015. Kenya's Geoffrey Kamworor finished third behind Ethiopia's Shura Kitata. Keitany, 36, was second in 2017 but won back the title in an unofficial time of two hours 22 minutes 48 seconds. She won in 2014, 2015 and 2016 before coming in second past year to American Shalane Flanagan, who finished third on Sunday. Keitany, second to American Shalane Flanagan in 2017 after three NY victories, returned to the top with a runaway performance. 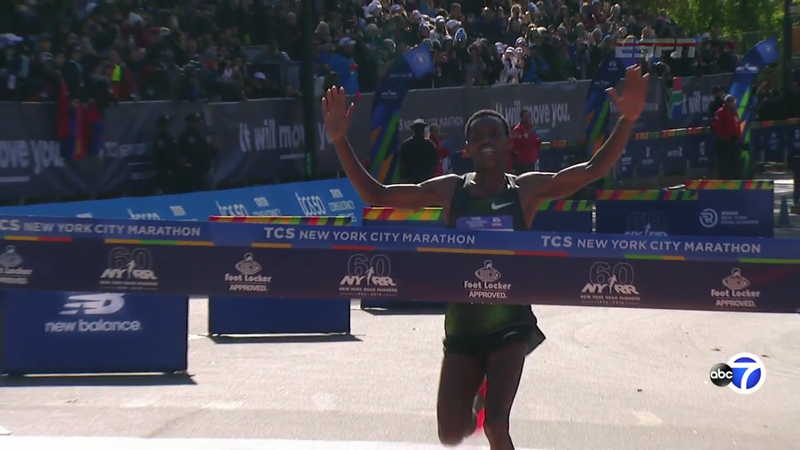 Keitany joined Grete Waitz as the only women to win the NY race four times. Thousands of runners packed the race, which starts on the Verrezzano Bridge in Staten Island and ends in Central Park near West 66th Street. The race route covers all five boroughs of the city, with the majority of the race being run through Brooklyn and Queens.